We’re getting the band back together! 21 years ago — in 1993 — we released Become What You Are(featuring “My Sister”). 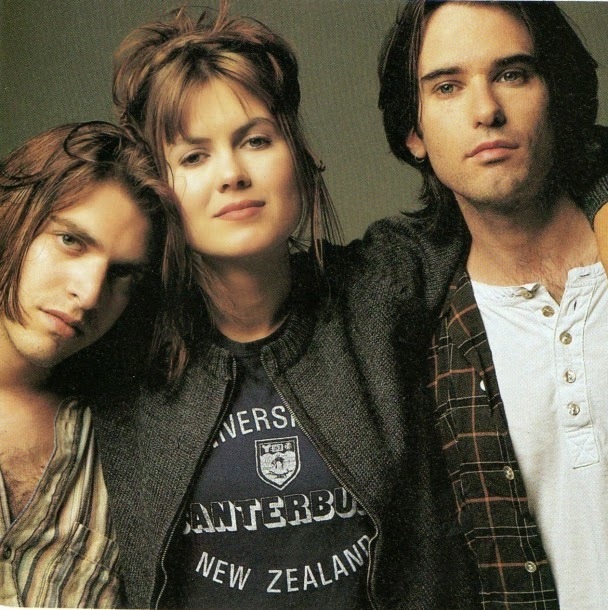 It was our one and only album as the Juliana Hatfield Three and now we are reforming to make a new full-length album. We (Dean FIsher, Todd Philips, and I, Juliana) will be documenting our progress in the studio and we will be checking in with you to show you what’s happening. Reuniting! Chemistry! Todd, Dean, and I have just begun recording with the lovely and talented Tom Beaujour (who worked with me and Matthew [Caws] on the Minor Alps album) at the Nuthouse in Hoboken, New Jersey, and so far it is going great. Some of you may have previously heard some version of some of the songs we are working on. For example, one of the songs we are exploring is “If I Could.” We have always loved this song but there have only ever been demos of it; it has never been properly finished or produced. There are multiple attempted versions of it but the nut has never been quite cracked, and this has always sort of haunted me. Now I feel like I finally have the chance to get it right with Todd and Dean. We are also exploring electricized band versions of a couple of the punchier acoustic home-recorded songs from my last album, “Wild Animals.” And there will be some other surprises. Donate to the campaign here, and watch the “My Sister” video below.